I want you to think back to a time when you felt your heart flutter when you wore the perfect outfit. It's a great feeling, isn't it? It's not an impulsive feeling, but it's a sense of euphoria that great fashion makes us feel. 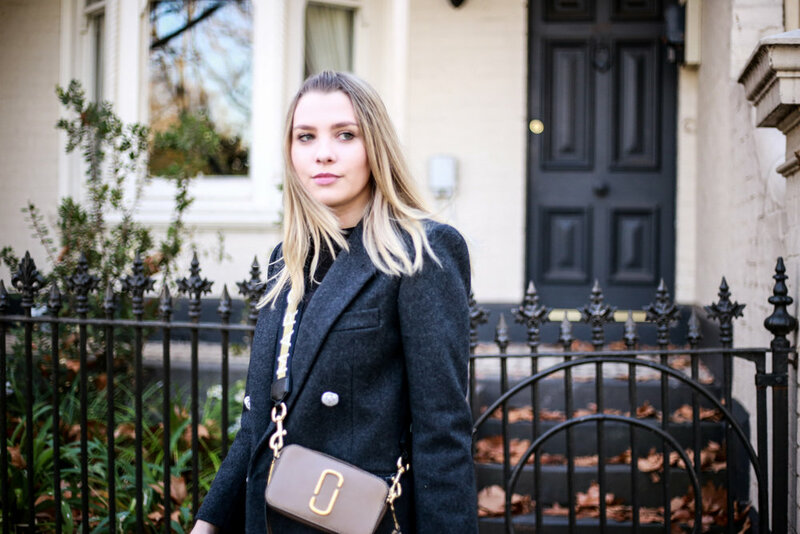 For me, this feeling comes when I find the perfect bag to have by my side whilst strutting down the city streets to attend events, meetings or even for a cheeky cute lunch date. I want to feel fashionable, powerful and most of all, happy! So when I was scrolling on Shopbop, I started to feel my heart flutter when this Marc Jacobs beauty caught my eye. Soon, like always, my mind began to race and flicker through when and where I'd wear this. The colour was just perfect, but most of all, I pictured my #StyleHigh moments wearing this. I could picture myself at an event with this epic bag. The statement strap crossed over my black blazer, making a scene to make heads turn and wonder.... who is that fashionable babe?... That's when I feel confident in my #StyleHigh moment. Of course, it'll go with every outfit, I thought to myself as my mind started to wander into fashion utopia. Have a little scroll, you're bound to find something on Shopbop to have your latest #StyleHigh moment too. The bag i'm wearing is the Marc Jacobs camera bag, click on this link to directly go to it.